Diggeress Te Kanawa (Ngāti Maniapoto) was a descendant of Louis Hetet (1815-1872). Often described as French, Louis had a French father and an English mother and was raised in England. He settled in New Zealand in about 1842 and married Mata Te Rangituatahi, a daughter of Ngāti Maniapoto chief Taonui Hīkaka. They had three sons and a daughter. After Te Rangituatahi’s death Louis Hetet married Paeata Mihinoa. Diggeress Te Kanawa was a leader in the revival of Māori weaving that began in the 1950s. 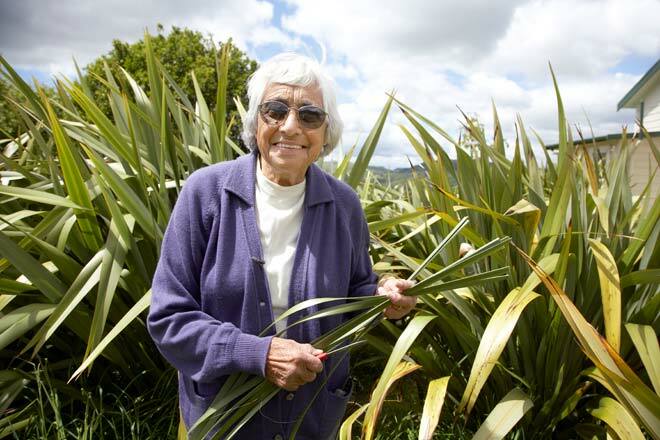 Her mother Rangimārie Hetet, who had married Louis Hetet’s grandson, Tuheka Taonui Hetet, was also an expert traditional weaver and passed on her skills while her daughter was still very young.